Jim understands that, for most of his Clients, their home is their single largest investment. He takes this very seriously and enjoys assisting his Clients in balancing their lifestyle needs and personal tastes with their budget. His ultimate goal is to provide his Clients with the home of their dreams while maximizing their investment. Jim Joyce’s passion for building began at a very young age. After graduating from high school, he pursued his passion for building by obtaining his Bachelor of Science degree in Construction Science from Texas A&M University, one of the top building construction universities in the nation. 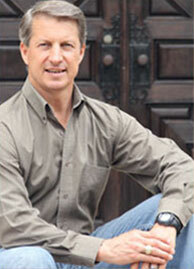 His education is coupled with over 30 years of home building experience. His home building experience began in 1984 while performing estimating and lead responsibilities for a light commercial construction company in Bryan-College Station, Texas. From 1989 to 1992, he gained valuable experience as a Project Manager for Highland Homes, a leading volume homebuilder at the time. In 1992, he launched his own custom home building business in the Dallas-North Texas metroplex and has been building custom homes ever since. Jim’s excellent reputation is a result of a long track record of satisfied Clients. He prides himself in providing his Clients with the highest quality standards at the best value, regardless of the scope of the project or their budget. He accomplishes this through regular involvement in the day-to-day construction activities of the Client’s home along with his commitment to provide the same level of detail and eye for quality that he would on his own home. It is important to him that the home building process is enjoyable to his Clients with minimal stress; and at the same time, he ensures that the home is customized based upon the Client’s requests while maintaining their budget and completing the home as scheduled. In addition to his business, Jim enjoys sharing his passion for building by serving others in need. In 2010, he traveled to Haiti following the devastating earthquake and helped with a project to rebuild housing. On two separate trips to the Ukraine in 2011 and 2012, he shared his talent by helping to build a church. From 2010-2012, he served on multiple construction projects in Mexico. Most recently, he served as the Construction Director in 2013 for the Rockwall Habitat for Humanity (HFH). He coordinated and worked alongside many volunteers and as a team they were successful in completing the most recent HFH house in Rockwall, Texas. Jim used his custom home building experience to accommodate the special needs of this family while maintaining the budget and schedule. He has also served on various other Habitat for Humanity projects throughout his career. Thank you for considering Jim Joyce Homes LLC for your custom home. References that provide testimonials of some of his first, second and third time repeat customers are available upon request.